Thanks to an enthusiastic response to our call for student projects, last week Prof. Stefan Keller (CH Open), Andreas Amsler and Oleg Lavrovsky (Opendata.ch) had the pleasure of spending hours poring over the nominations, qualifying and quantifying their relative merits according to the criteria posted. Learn about the ten projects that were accepted along with the winner of the first Open Data Student Award. The jury team are extremely impressed with all the submitted projects, each truly exemplary in its own unique way. Each student and supervisor participating this year deserves recognition for making an effort to use, re-publish and to promote open data. 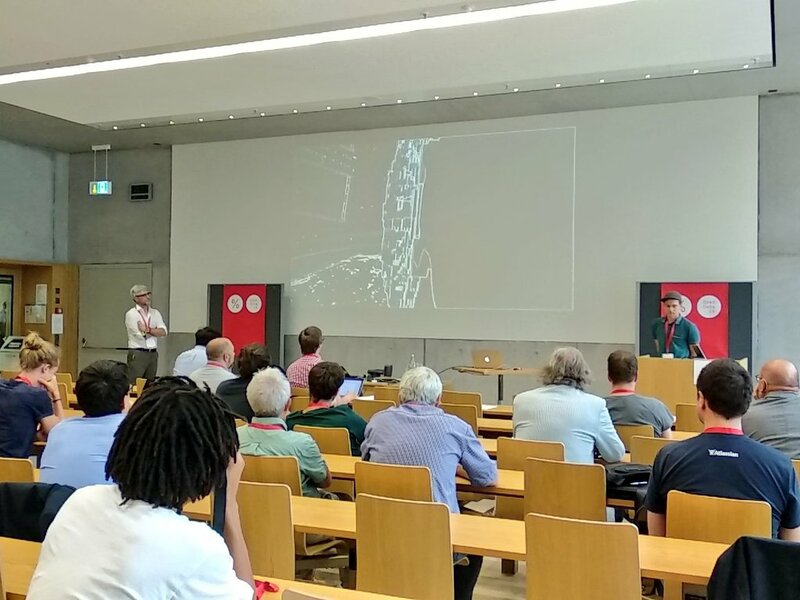 In addition to being put on the big screen at the annual conference in St. Gallen (visit Opendata.ch/2018 for presentations and photo-documentation), and discussed by all the people gathered there, the projects are being given extra attention through community channels. Congratulations to Jonas Oesch from FHNW Windisch, whose winning project The Hitchhiker’s Guide to Swiss Open Government Data (project details | direct link) educates readers in an exemplary way about open data, applying open source technical ingenuity and skillful design to a problem that is critical to the open data community. The project fulfilled all of the criteria for the award, from analysing and visualising an important and often overlooked data source, to attribution and open sourcing the project code, ensuring reproducibility and enabling follow-up work for others. We are very much indebted to the people and sponsors who made this award possible: the Opendata.ch and CH Open associations, SBB CFF FFS, Swisscom, Swiss Post, Netcetera, IBM Schweiz and my3Dworld. There could only be one award this year, but we hope to have lots of submissions again in 2019. So keep on learning, keep on teaching, help us spread the word and help your students to make an awesome Open Data project – and, you never know, they may win next year!